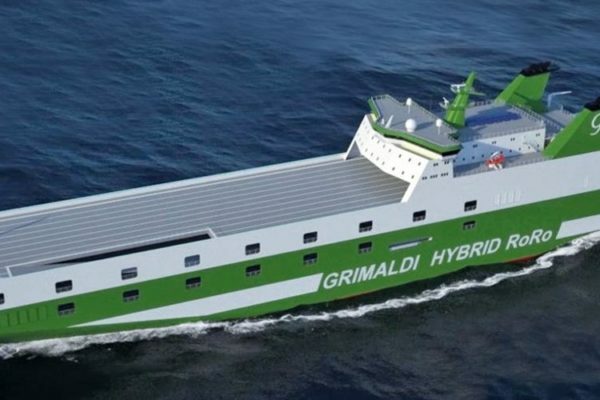 In the framework of the expansion and modernisation programme of its owned fleet, as anticipated in the last months, the Grimaldi Group has signed yesterday an agreement for the construction of six ro/ro vessels, for a total investment worth over USD 400 million. 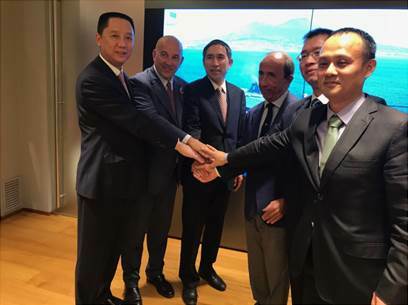 The order has been awarded to the Chinese shipyard Jinling, thus consolidating an important partnership with the Neapolitan Group, the world’s leading company in the ro-ro sector. The design of the new buildings, called “Grimaldi Green 5th Generation” (GG5G), was developed by the Technical and Energy Saving Department of the Grimaldi Group together with the Nordic Engineering Design house Knud E. Hansen and it incorporates innovative elements partly already patented and protected by copyright. These are the first examples of a new series of hybrid ro/ro vessels, which will use fossil fuel during navigation and electricity while in port, thus guaranteeing “zero emissions in port”. The vessels will, in fact, be equipped with mega lithium batteries which will allow them to satisfy the energy requirements while at berth. These batteries will be recharged during navigation, through shaft generators adding the so-called peak shaving system, and with the aid of 600 m2 of solar panels. The vessels’ hull will also be covered with special no-toxic silicon paints characterised by low surface roughness which will reduce friction with the sea and does not release any substances into the water. 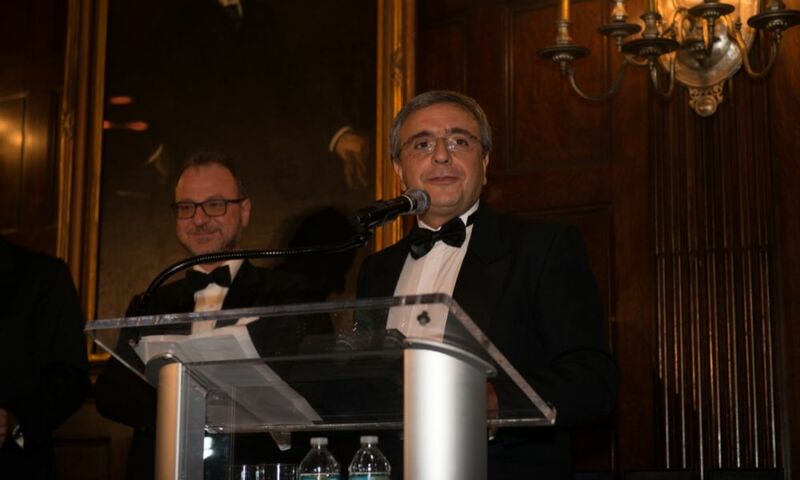 “Reducing fuel consumption and, consequently, cutting harmful emissions are categorical imperatives for our Group”, proudly said President Gianluca Grimaldi, at the helm of the Group together with the Managing Directors Emanuele Grimaldi and Diego Pacella. “It is the first time in the world that such powerful batteries, equivalent to those equipping 90 Tesla cars, will be installed on ships”, continues Diego Pacella. 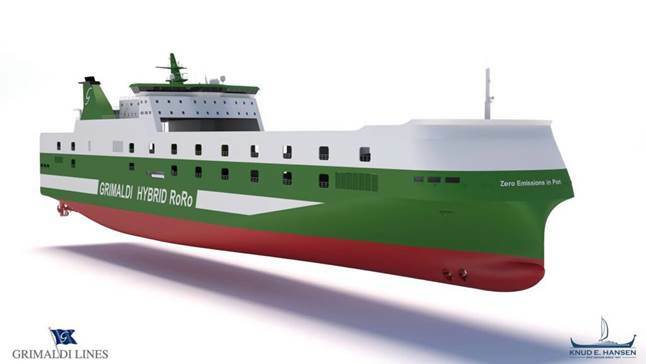 “We are proud that these exceptional technologies on board will make the GG5G hybrid ro/ro the most innovative and efficient vessels in the world”, concludes Emanuele Grimaldi. The Grimaldi Group, Naples is represented in Malta by Sullivan Maritime Limited. Should you wish to require any further information, please visit www.sullivanmaritime.com or call +356 2299 5110.